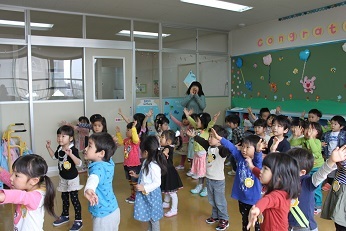 Today`s Class 1 was lots of fun. After we enjoyed playtime and got our stickers for our sticker books, we had morning exercise with Class 2. Everyone stretched their bodies and danced along very nicely. 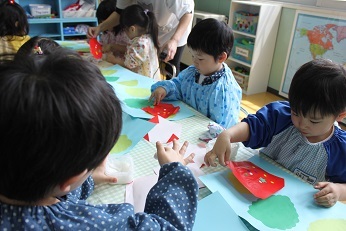 Then it was time to finish our strawberry origami craft from yesterday by using glue to stick down the leaves and papers. It was a short, but super fun day! Well done everyone! See you all tomorrow.